How much is Jamb Form for 2019/2020? It is no doubt that the Joint Admission and Matriculation Board, JAMB has announced the 2018 UTME Registration will commence on January, 10th 2019. According to the Jamb Boss. The UTME 2019 form will be sold at the rate of Five thousand naira (N5,000.00) only. *Update* The price of JAMB Form has been reduced to Three thousand, five hundred naira, (N3,500.00) only. All the interested persons who wants to apply for admission into their school of choice must pass through JAMB. The registration fee for Nigerian candidates is fixed at N5,000 N3,500 as stated above, while the UTME Registration for foreign candidates has been slashed from over 100 dollars to 20 dollars. Report reaching us here at nigeriaschool.com.ng has it that the president of the Federal Republic of Nigeria, Muhammadu Buhari has announced the reduction of JAMB UTME Form from N5,000 to N3,500. Click Here for full details. Breaking! The Joint Admissions and Matriculation Board has disclosed that the registration date for the 2019 JAMB UTME will commenced by December, 2018. The Head of Media of the Board, Dr Fabian Benjamin, announced this while addressing newsmen on Thursday, 29th November, 2018, during the conduct of promotion exercise for the Nigerian Customs Service (NCS), at the board’s Computer Based Test (CBT) Centre in Abuja. According to Dr. Fabian, no specific date has been fixed in December for the commencement of the JAMB Registration yet. However plans are being made to announce the specific date soon as the board was initially waiting for the announcement of the reduction of JAMB Examination fees by the FG. The sales of JAMB UTME Form has been moved to January, 2019. The JAMB board had previously announced that the sale of 2019 JAMB Forms will begin in December. This was announced via the official twitter handler of the board. The Joint Admissions and Matriculation Board (JAMB) has officially announced that the sales of the 2019 UTME Registration form will commence by Thursday, 10th January, 2019. 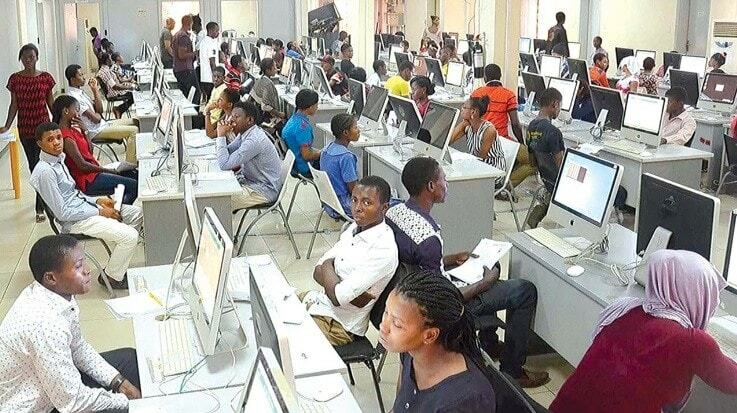 This was made known to the general public by the Board’s registrar, Professor Oloyede during a meeting with owners of JAMB Computer Based Test Centres at the University of Lagos. Yes, but your WAEC must be out before you can do anything with your JAMB or admission processing. Please sir,how much is jamb form??? According to FG, Jamb form will be sold at N3,500. (excluding processing fees and others). Well, your source is not correct this time. Officially, JAMB 2019 FORM is not out yet. No Winniefred. The form is not on sale yet. However, it will be out by 10th January. It is not on sale yet. pls sir/ma can you let me know when jamb form 2019/2020 is out? We are thinking of a better way to notify all interested candidates! Pls notify me when the jamb form is officially out. No you can’t use 2017 jamb result. It will be out by 10th January, 2019! Is it true jamb form is coming out on sale by January? Secondly, can u be helped during or after the exam for your mark to get to peak? Sir, can i sit for waec and jamb this year and still secure an admission this same year? Definitely, there will be other additional fees. Sir/Ma, pls how do I recognize certified centres to register for JAMB in Ado Ekiti ?? We are receiving the same report from all across Nigeria. Please do well to report the centre to JAMB. JAMB form is officially out and the price for everything is between N5,300 to N6,300. Sir plz when is d jamb form closing? sir i just payed for jamb fee for 4000 instead of 3500. We really do not have answer to that. Some candidates are paying up to N5,500 and more. According to JAMB; If you are charged more than N3,500 + N700 for processing, you should do well to report the centre to them. Please when will the jamb starting the exam? ?